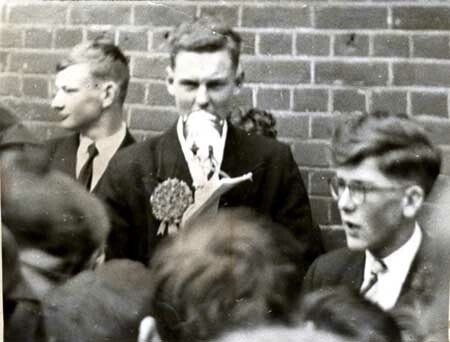 A SCHOOLFRIEND of David Irving calls to say: "I stood against Irving in the Brentwood School mock general election of 1955. He was representing Labour and because nobody would listen to him he grabbed a megaphone and began playing slogans across the playground." Such as " Ein Volk, ein Reich, ein Führer"? "No, Labour slogans. But he made playtime feel like a Nuremberg rally. It did him no good though. He lost to a fellow who had made up his own party. It had a rather apt name, in retrospect." "It was The Intellectual Extremist Party." THE Times publishes yet another sneering diary item today (above). If anybody talks "about Nuremberg rallies" again at Brentwood School, I shall feel tempted to produce the 16mm film taken by Sidney Burgin, our geography teacher, showing me haranguing the crowd (the film is now in Brentwood Public Library). I was attending speaking classes organised by the Co-operative Movement at the time. At least The Times has not published again the photo, allegedly showing me at school, which they used last time. It was actually a picture of J I Bowden (right), the head Boy, who distinguished himself by failing all his "A" levels. The mystery is, who could their source be? My brother Nicky, who aided David Handley Hutt, now a high clergyman at St. Paul's Cathedral I believe -- I last saw him on television officiating at the Diana funeral -- who stood for the Right Wing National Party? B. Merritt, the Communist candidate? N A Maryan-Green, who stood for the conservatives? B Everitt, the Liberal? R S Rehahn, the Social Democrat? D A Dallas, the flamboyant candidate for the Intellectual Extremists (who were mostly praepostors) -- they swept the election in a landslide. I have burrowed through my old boxes of pictures, for the first time in forty years. 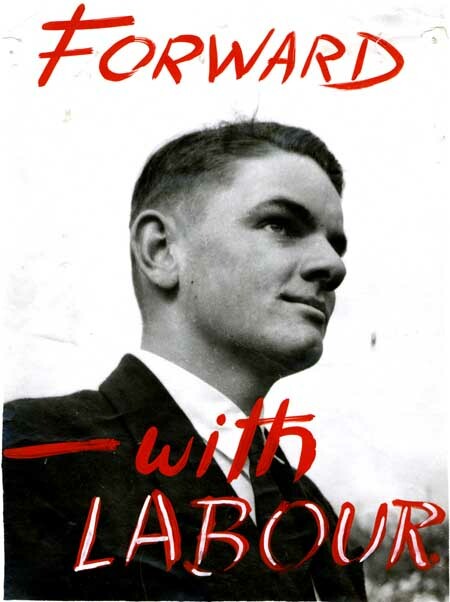 The photo I have found shows somebody standing for Labour, namely me; I fared rather less well than the I.E's. But that was the Labour of Aneurin Bevan, to whose oratory in Trafalgar Square I thrilled in October 1956; and of Ernest Bevin, not the wimpish, Gucci-clad, gangle-mouthed Blairite females, males, and hermaphrodites of today. Interesting 1955 "Old England" note: the crowd in the school playground hearing the speeches is all White. There was one Indian boy, Chaudhury, at the school; one Catholic (K W Murray), and, as a loud mouthed and belligerent Mr. M A Franks enlightened me at Miami airport two or three years ago, two Jews.